Place potatoes into a large pot and cover with salted water; bring to a boil. Reduce heat to medium-low and simmer until tender, about 15 minutes. Drain. Mix feta cheese, butter, milk, capers, garlic, salt, and pepper into the potatoes. Mash with a potato masher or electric mixer to desired consistency. Nice spin on mashed potatoes. We are not caper fans so I left those out. 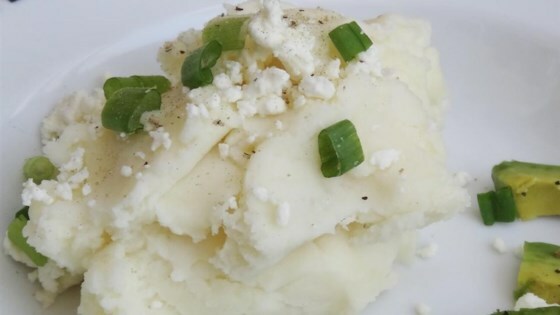 If you are looking to switch it classic mashed potatoes then give these a try.